We receive hundreds of questions and inquiries a day into our services, and one of the most common phrases we hear is “Really? I didn’t know that)”. There seems to be a large amount of misconceptions surrounding what accountants can do, what they are, and what is required from the client. It may come as a surprise to some people, but accountants aren’t magical creatures who can balance business profits with the flick of a wand. It takes a lot of practice, a lot of information, and the client has to give their input too. So we’ve decided that we’re going to dispel some of the most common myths surrounding accountants. This way it’s easier for you to understand what you need to do to help out your accountant so they can provide the best service possible for your business. Not necessarily true. While it is crucial for an accountant to have some skill in maths, they don’t necessarily need to have a university degree or A-Levels in the subject. An accountant has to use some of the basic principles of maths on a regular basis; subtraction, addition, multiplication, division, and algebra. If you’re not good at these then it’s unlikely that you’ll be an accountant, however you don’t need to understand impossibly long equations that require a university degree to solve either. In reality, accountants in general are quite good at maths mostly from practice through their trade. It isn’t, however, a prerequisite to be an accountant and you don’t need any formal maths qualification to become an accountant aside from a decent maths GCSE grade. Again, not completely true. 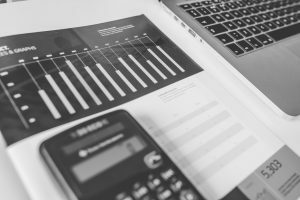 Part of an accountant’s job is to work out the amount you’re making and spending on a yearly basis, but it isn’t the only thing that they do. An accountant’s job role is described as ‘to prepare and examine financial records’, however many accountants, especially Zooconomic online accountants, will go above and beyond this description. For many accountants, their real job is to help your business turn a bigger profit. This can be done by applying for tax deductions from expenses, lowering your taxable profits through payment methods and finding any other way which will save you and your business money. So yes, technically an accountant does work out your expenses and incomes, but it is by far not the only thing that they’re willing and capable of doing. I can’t stress this enough, but I’ll give it a try: NO. If accountancy was something so simple that it could be completed in the last month of your tax year, there would be no need for accountants. An accountant that does their job properly will likely spend the entire year preparing your business for its annual tax return(s). They’ll be working out your expenses as they come in and tallying up your income in an effort to have your tax returns prepared long before they’re needed. On top of this, they’ll always be keeping an eye on your financial details just in case a way of cutting spending and making a larger profit comes along. I would be lying if I said that an accountant’s busiest month isn’t the last month of the tax year, but it certainly isn’t the only month they work. Not strictly speaking true, but also true in a manner of speaking. As you can imagine, your online accountant is sitting by their desk at 2 in the morning just in case you have a midnight emergency with your accounts, but there are other ways to do this with online accountants. With any online accountant you will receive online accountancy software that allows you to work on your accountants at all times of the day. This means that rather than having to contact your accountant to help with a financial issue, you may be able to solve if yourself. Failing that, you will be able to send off a report of what you want done to your online accountant through the software; they won’t be able to work on it until they return to the office in the morning, but at least it doesn’t require you to chase them up about it when you could be working on your business instead. So, technically speaking, your online accountant isn’t available 24 hours a day. You can however solve your accounting problems whenever you need to through tour accountancy software provided to you by your online accountant.